As a result, endpoint security has become a major consideration for nearly every organization. 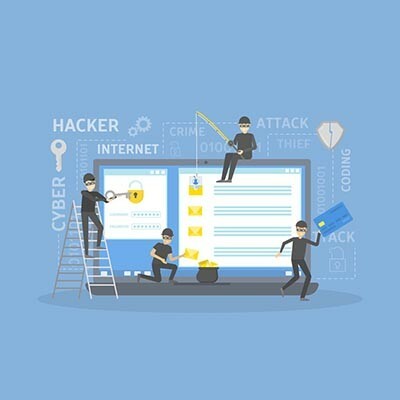 There are strategies and solutions that businesses can implement that will not only give IT administrators the resources they need to protect the company’s data and computing infrastructure, but also trains their staff in the backhanded way these hackers try and infiltrate the business’ network with their legitimate credentials. Let’s take a look at some different forms of phishing and what you should be teaching your staff to keep them from messing up, and making your business just another negative statistic. As the most common type of phishing scam, deceptive phishing in a name is pretty obvious. The name of the game for this attack is to pull the wool over the eyes of an unsuspecting end user. In essence, a deceptive phishing strategy is one where an email or message is created impersonating a legitimate company or person to flat out steal personal access information. With this access, the illegitimate party has some time to pick and choose what he/she wants to take, or gain access to. By having legitimate credentials, the illegitimate party doesn’t immediately trigger any red flags. Most deceptive phishing messages are ignored, caught by filtering technology, or disregarded when accessed; but, the one that works to fool the end user is worth the hundreds or thousands of emails they’ve sent using the same method. To ensure that your organization doesn’t have to deal with a data breach, or malware associated with that phishing attack, it’s extremely important to lay out the ways that these deceptive emails are different from legitimate emails. Phishing emails traditionally have misspelled words and hastily thrown together construction. Typically, users will have to download some attachment. So if there is an attachment that an email prompts you to click on, be sure to check the URLs by mousing over the links to determine if the email is from a legitimate source. One thing every user should be cognizant of is that if the email is from a financial institution demanding payment, it is likely a phishing email. Email, while being a popular form of communications, is rarely used for such purposes. These types of phishing attacks are personalized to a specific user. This can cause a lot of people to forget what they know about phishing and let their defenses down. The goal - as fraudulent as it is - the same as a traditional phishing attack, except it will be harder to decipher that it is, in fact, an attempt to trick the user into providing network access. The spear phishing email will often feature the target’s name, their title, their company, even information like their work phone number, all with the same aim: to get them to click on the malicious extension or URL sent with the email. Users of the social media site, LinkedIn, will likely come across spear phishing if they utilize the service regularly. Since you provide certain information for networking with other like-minded industry professionals, you unwittingly provide the hackers with the information they need to build these messages. Of course, we’re not suggesting that you stop using LinkedIn, or any other social media because of the risk of hackers, but be careful what information you have shared within these profiles and ensure that any personalized email is, in fact, legitimate before you click on anything. With more and more people becoming savvy to these types of phishing attacks, some hackers have stopped the practice altogether. They, instead, resort to a practice called pharming, in which they target an organization’s DNS server in order to change the IP address associated with the website name. This provides them an avenue to redirect users to malicious websites that they set up. To ward against pharming, it is important to tell your staff to make sure that they are entering their credentials into a secured site. The best way to determine if the website/webtool a person is trying to access is secure is that it will be marked with “https” and will have a small lock next to the address. Also having strong, continuously-patched antivirus on your organization’s machines is important. With proper training and solid security solutions, your company can avoid falling for the immense amount of phishing attacks that come its way. 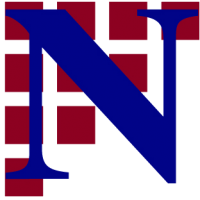 To learn more about how to secure your business, and what tools are best to help you do just that, call the IT professionals at Network Synergy today at (203) 261-2201.